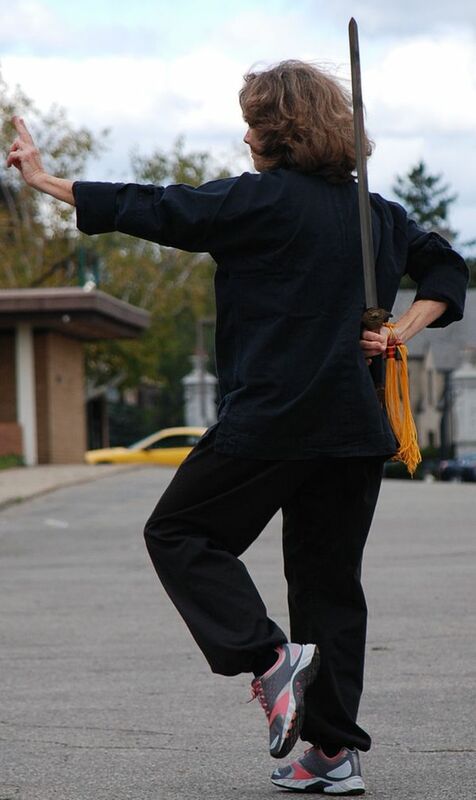 We teach the Yang style of T'ai Chi and Qigong including the 108, partner, 24, push hands, bo form, partner bo, and sword forms. Tai chi is a slow motion, relaxation, stress management moving meditation. The practice of T'ai chi is one of the oldest therapeutic exercises in the world. Most T'ai chi programs are taught out of community centers, rec centers, or college campuses. These programs usually allow you to come once per week and follow along with the group. The problem with this type of study is that everyone has a different learning pace. Some people catch on very quickly and end up getting bored and quitting. Many others feel everyone in the class understands it but them, and missing even one week puts them even further behind. Over 95% of the people who start these type of programs quit without ever learning the art. Our approach is self paced, rather than group paced learning. We offer many classes a week and have designed a program where students learn at their pace. We not only teach the physical movements of the art, but the deeper philosophical and internal benefits of the practice: breathing exercises, discipline over your mind, stress reduction, and control and manipulation over the chi are the primary focuses of the classes.